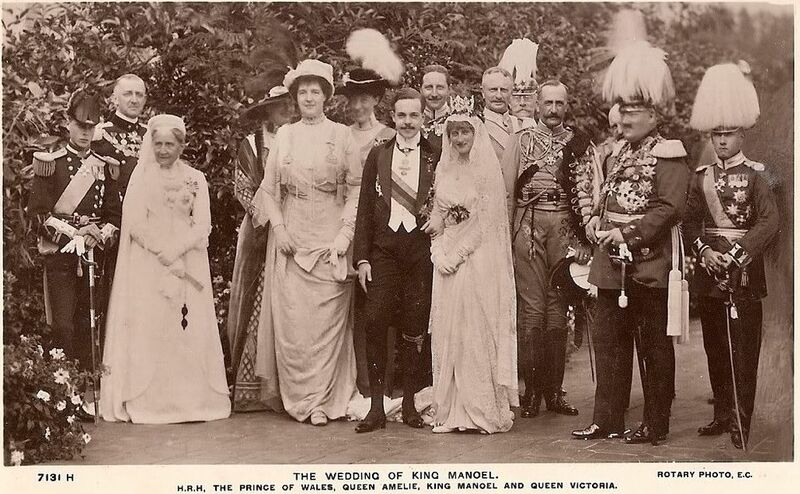 His Most Faithful Majesty King Manuel II of Portugal was only 42, when he died this Monday 80 years ago at Fulwell Park, Twickenham, London, his British exile home. He had left his Kingdom on 6th October 1910, after a military coup took place and a republic was proclaimed. His death has been regarded as suspicious by some because of the fact that he had been playing tennis on 1st July and was apparently in excellent health. Wikipedia points to an incident surrounding his sudden death that was mentioned in the autobiography of Harold Brust, a member of Scotland Yard Special Branch in charge of protecting public figures. In his memoirs, Brust speaks of an incident which probably occurred in 1931 in which he mentions an intruder in the grounds of Fulwell Park who, when arrested, the Police confirmed as being a prominent member of Portuguese republican terrorist group known as the Carbonária and was subsequently deported to Lisbon. Although his reign was short, he ascended the throne on 1st February 1908, the late King is not forgotten. In Twickenham a street was named after the King, another one after his Queen. Today the Monarchist People’s Party (PPM) will remember King Manuel II with church services. Since the marriage with Queen August Vítoria (née Princess of Hohenzollern-Sigmaringen 1890 – 1966) remained childless, King Manuel was the last male member of the Braganza-Saxe-Coburg and Gotha line. Therefore he and the head of the rival branch of the House of Bragança, Dom Duarte Nuno agreed that after the King’s death Dom Duarte would be the only legitimate heir to the Portuguese Crown. In 1946 King Manuel’s mother, the Dowager Queen Amelia became the godmother of the eldest son of the Dom Duarte, who is today’s Head of the Portuguese Royal Family and de jure King of Portugal, Dom Duarte Pio, Duke of Bragança. A charming tribute to Manuel II und Twickenham and Auguste Viktoria, Königin ohne Land was published in the blog Planet Portugal, which is highly recommended to everybody who is interested in Portugal (and speaks German). Portugal is the place I'd put money on restoring the crown. There is a fair amount of support already, and with the EU crisis looming maybe people will want a radical change anyway? Who can say? it wouldn't be the first Iberian Monarchy to be restored in modern times. Thanks for remembering the King Saudade. He was an example of patriotism and decency, specially now when the country is collapsing.